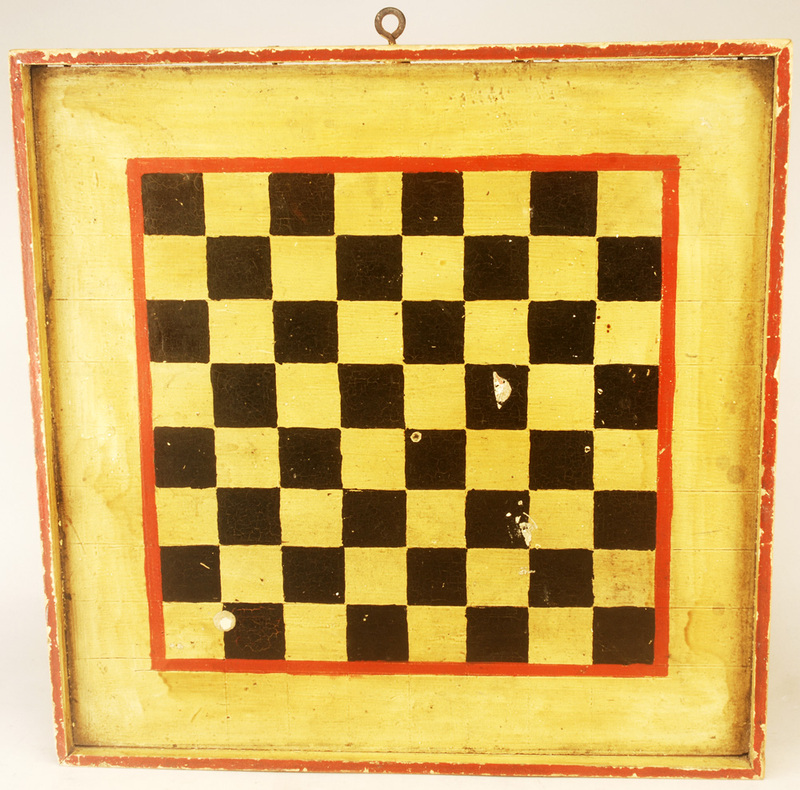 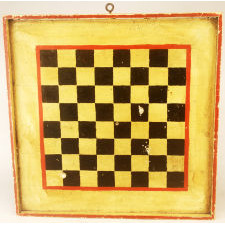 A clean, dry, untouched 3-color gameboard with applied molding and square nail construction. 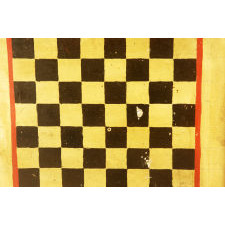 Good checkerboard on back. 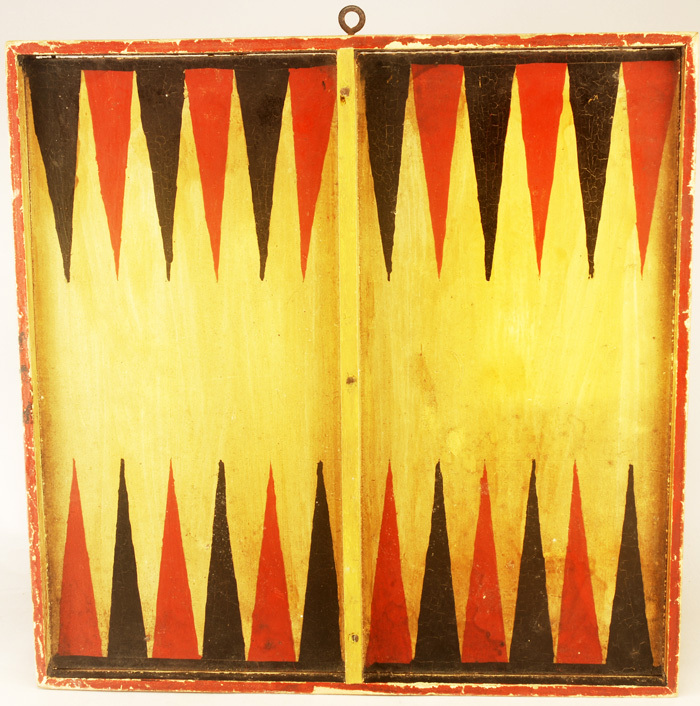 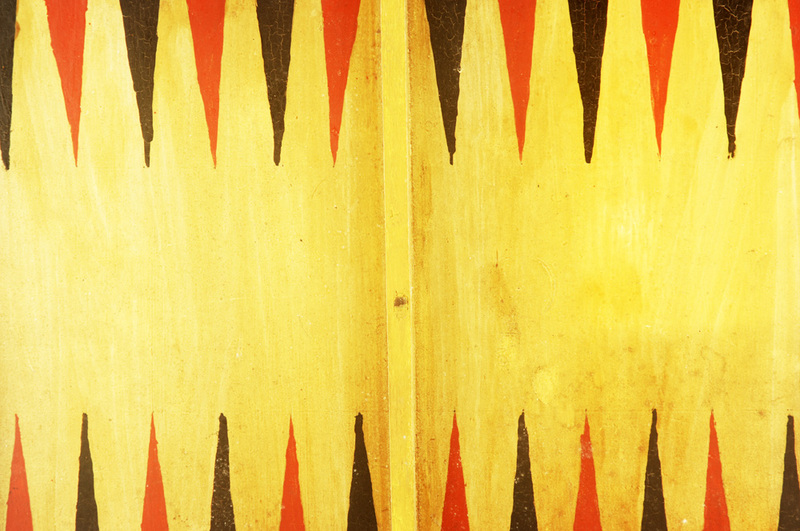 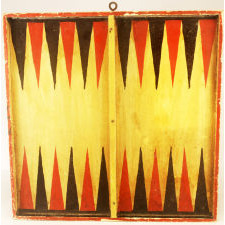 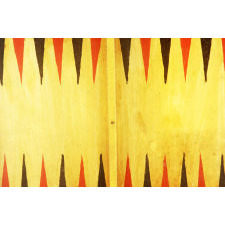 This backgammon board was never hinged as most are; it is a one piece board. 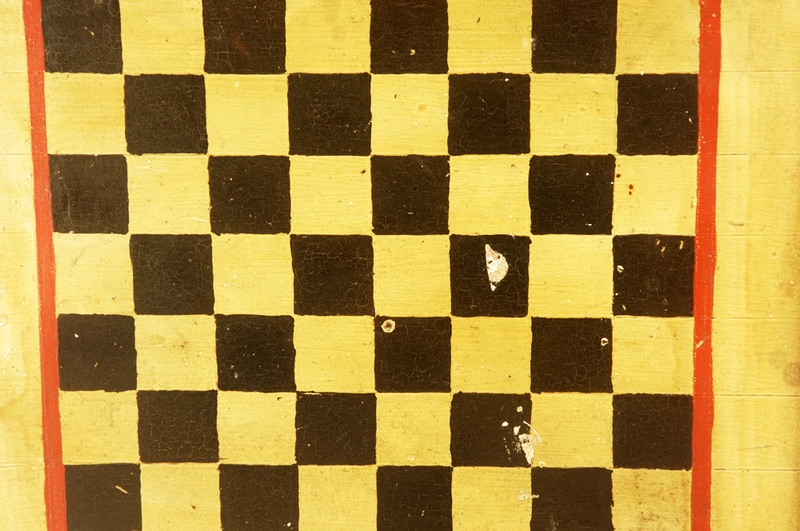 Measurements 14 1/2" x 14 1/2"